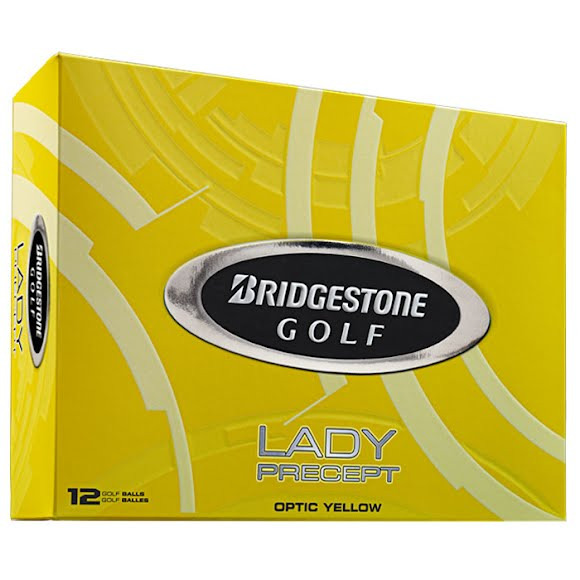 The number 1 selling women's ball in golf is now the softest Bridgestone golf ball made. After more than 15,000 live fittings with women golfers, Bridgestone Golf has developed a woman-specific model engineered for moderate swing speeds. The Lady Precept is designed to produce higher launch and lower spin off the driver for longer distance and carry, while providing soft feel from tee to green. The number 1 selling women&apos;s ball in golf is now the softest Bridgestone golf ball made. After more than 15,000 live fittings with women golfers, Bridgestone Golf has developed a woman-specific model engineered for moderate swing speeds. The Lady Precept is designed to produce higher launch and lower spin off the driver for longer distance and carry, while providing soft feel from tee to green. Softer Gradational Compression Core for longer distance and better feel. 330 Seamless Cover Technology™ optimizes aerodynamics for moderate swing speeds.